It has been a pretty busy few months but I am finally back in the blogging frame of mind and hope things stay that way for the foreseeable future. Sometimes we need a break from these things and after a few years on the blog I felt it was no harm to take a brief period off. Since my last post in Wales, I have been to Sweden and Alicante on two holidays, so all in all I can’t complain much. The other end of things wasn’t so nice with our little buddie Ferris, our cat, passing away and in the mix of everything I was rear ended in a road accident. Luckily I was in one piece, however my car did take the full brunt of the collision. Anyhow enough rambling, how do you write blog posts again? I will start by a little run down on an epic adventure in the North of Sweden, 2100metre mountains and some of the best scenery in the world. Not far from Sweden’s highest point! So where exactly is Kebnekaise for those of you not too sure about Sweden’s geography? Here is a very rough ,very quick idea as to where we were! 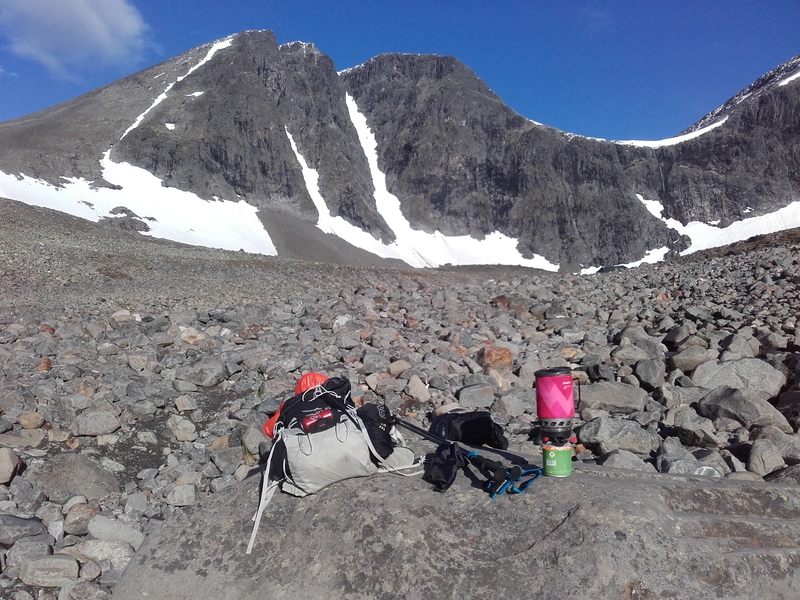 We set out to hike 20km to the base camp of Sweden’s highest peak, Kebnekaise mountain. We would camp here for three days and one of the days give the mountain a whack. The hike in was flat but with 15kg on our backs and a nice 10km trail run in the legs from the previous day we were all tired by the time we reached camp. Emma’s sister Frida was joining us for the trip and would be great having her part of of it all, one any Swedish hiker or nature enthusiast dreams of making. 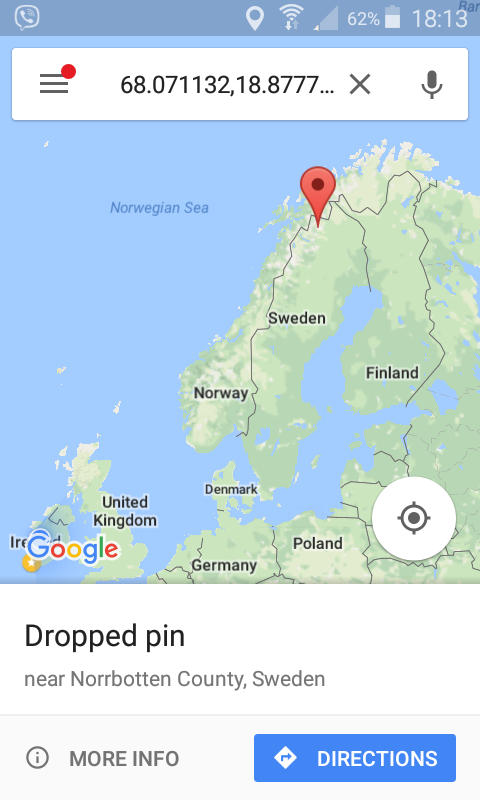 Very few people outside of Sweden, or at least in Ireland even know these kind of places exist. Base camp in the shelter of the woods. We secured a spot for our tents on the first evening. We pitched them in a howling gale and realised it was a hell of a lot colder than first imagined. We had travelled as light as possible but thermal clothes and down jackets along with good rain gear were the essentials. My new Alpkit Brukit Wolfe would do all the cooking and a diet of porridge and various beans and rice mixes would have to keep the engine ticking over for the few days. I would learn that I need alot more fuel than Emma and Frida to keep myself in check and I hadn’t quite packed enough. 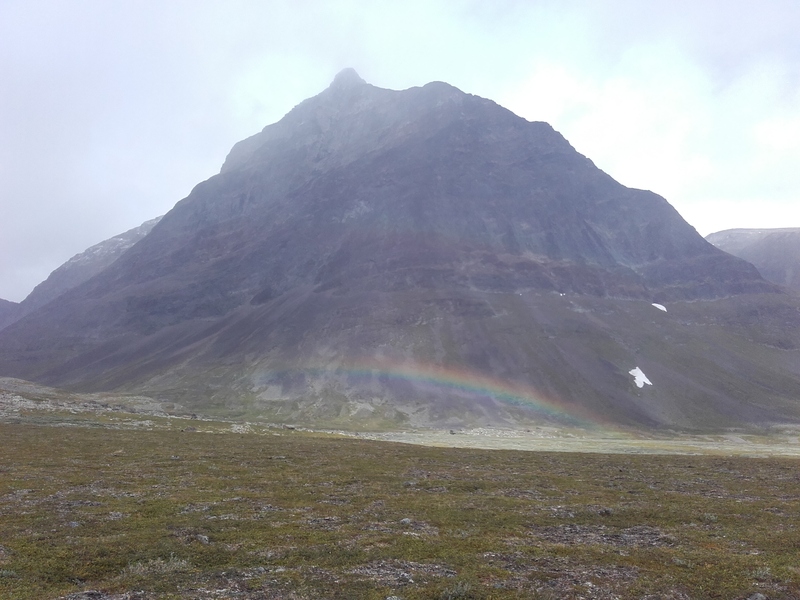 After a pretty average sleep on the first night we set off to trek Kebnekaise the next day. We took a wrong turn early on and ended up hiking further into the valley under the mountain. I had some form of vertigo or at least an imbalance from sleeping in a stuffy tent and was glad we decided not to go for the summit today. It turned out the weather closed in pretty badly and very few summitted that day. It was nice to get a long hike and get used to the temperature of about 7 degrees depending on wind and rain conditions. An early night in order to set off early the next morning was the plan. I actually slept fine and was feeling great the next day. Bring on the mountain. The view early on, not far from base camp. Things were looking up! The hike was relentless but we got into a nice rythm and the views were more spectacular by the minute. After a 45 minute climb to the first stop I cooked up some hot water and we had a coffee and some sugar as a break. From here I told Emma and Frida I would push on as I was going a different pace and instead of enjoying every second I would turn it into a bit of a training session, typical me! I literally ran up the next two climbs, reached a snowy wet point (adding a few layers here) and then descended a few hundred metres before starting the last long climb towards the first and second summits of Kebnekaise. A few Dutch guys asked me was I not freezing as I had stripped to a tshirt and shorts. I replied no I’m ok, as long as I don’t stop! 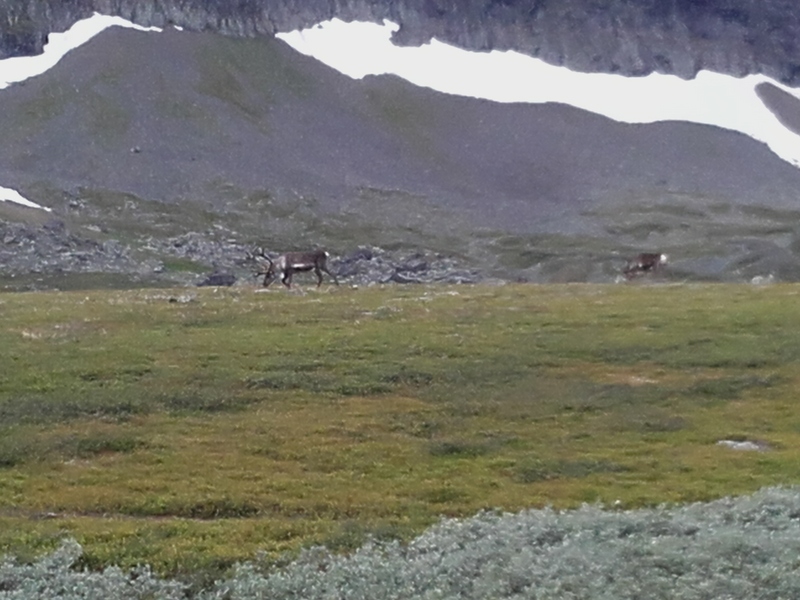 I ran into a few more hikers, one of which had taken a wrong turn with a 20kg backback and in order to get back to his original route was having to go over Kebnekaise. It wasn’t his finest moment but he was taking it in his stride with a smile! I ploughed on up past 2000 metres and was suddenly engulfed in a blizzard. I could see the summit on my GPS but I could barely see my hand. I decided to descend back once near the summit and go in serach of Emma and Frida on the trail. I could head back up with them and enjoy the rest of the day even more. Our photos from the summit are a little blurred but I will throw some into my next post. There were people wandering around in search of the exact summit. A crazy dangerous thing to be trying with no proper GPS. I could see 2100 metres on my watch and was happy we were within a few feet of the top. I knew as well that there was a shear drop to our right and now was time to head down. As we descended the rain started and it followed us all the way home. It was torrential at times but we stuck it out. I think we were on the mountain arounf 9 hours in total. I would go up in a flash again. It was amazing to see groups of people, young, old, and all shapes and sizes enjoying the hike. It is a gruelling hike but it seems hiking is one of those sports that attracts everyone and everyone can give it a go. It was great to see a dad with a little boy tied on to his side and the boy so excited to find the top. It was also great to see the safety being used in this instance. One thing that was for certain was that people in Northern Sweden know the type of gear needed on the mountains and for the most part people were very safe. We slept ok the final night and our hike out on tired legs was relentless, being well over 20km’s when we clocked it all.Our bags were lighter than the journey in having eaten everything but my socks. In saying this they still felt twice the weight. A sure sign of tired bodies! Back to the campervan, clean clothes and an amaing appetite for a pizza. Kebnekaise, hope to see you again some day. This is a brief account of our adventure but another fantastic experience. I learnt the amount of food I carried was way below what my body was crving in the cold and the mountains. I drank so much water even though I really only pushed hard on one of the days. A good rain coat is essential and staying warm even more so. Bring a second and third set of wet gear for relentless rainy days. Always use dry bags, as we did, and stick to boiled foods if possible. It has basically been weeks and even months of training and working, with a short break in Alicante thrown in, since this Swedish trip. I ran in a few cross country races the last couple of weekends, shear torture but fun at the same time. Only cross country runners get what I am saying here! I managed to be part of a great team on Sunday and we won a county gold and I topped that off with first place in my category (senior), only 3 weeks off my over 35 debut that is. I promise to get back into the blogging scene and hope to share my goals and plans with you all over the next few months. Next up is the Mourne Skyline MTR on the 21st of October. A 35km killer of a mountain run/scramble! !